Entice your senses with the aroma of Be. The Solution’s Body Mist-Original. 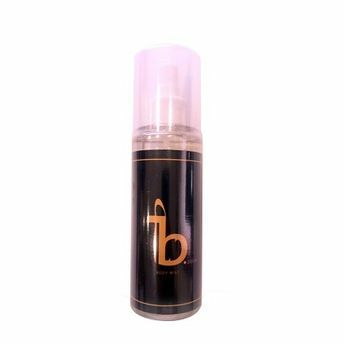 Designed to give you an amazing and lasting fragrance this body mist has fragrance that will get you ready for day long freshness and body odour protection. Go ahead, smell great, feel confident and conquer the world. Leaves a pleasant and refreshing fragrance. Glides on the skin effortlessly and gets absorbed easily. Gives an awakening and energizing feel. Ensures day long freshness and body odour protection. Additional Information: Be. The Solution is a new online brand that offers daily hygiene products. A refreshing take to your ordinary personal care routine. Be. 's formula uses naturally-based ingredients and high-quality ingredients that care for your skin. Be. The Solution is brand strives to make a woman's routine easier in the workplace and home, and provide a pleasant user experience through beautiful packaging, healthy ingredients and elegant fragrances. Be. 's philosophy is simple. The brand believes every Indian woman deserves to feel healthy and beautiful in her own skin. Be. contributes 5 percent of net revenue towards hygiene awareness and sanitation initiatives for women and girls in rural communities. Be. has curated hand sanitizers, body mist, hand soap, toilet seat sanitizer, and an intimate wash for women with the everyday Indian woman in mind. Explore the entire range of Body Mist/Spray available on Nykaa. Shop more Be. The Solution products here.You can browse through the complete world of Be. The Solution Body Mist/Spray .